I Hope you had a wonderful beginning of 2019 and to help you start it off in the right direction here is an excerpt of my new book GETTING OVER GROWING OLDER . When you speak about yourself, you always say, “In my life.” But do you really have only one life? I don’t think so. Looking back, I see that I went through many different phases, which all had a distinct beginning and end like chapters in a book. this phase of your life is a new chapter. Will it be a happy one filled with challenges, new experiences, joy, and laughter? That depends on you. You are the Author of this new chapter in your life, and you will write the story’s happy ending. Yes, there will be difficulties, and your will have to deal with them, but the story will be happier and easier to write if you stay optimistic, positive, and refuse to let old age creep in between the lines. “Young man I don’t need help, because you see I am not old, I just look old.” and with that she stepped slowly out of the bus. 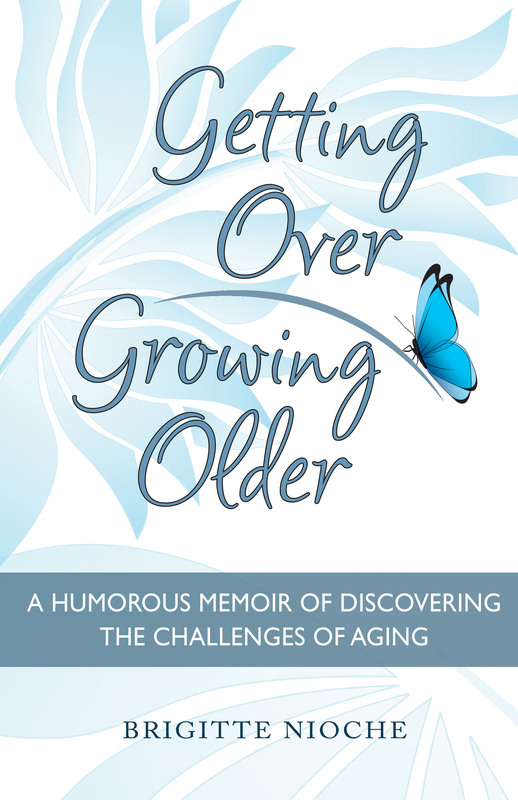 Today is a very special day – it is the day I can tell you that my book Getting Over Growing Older will be published on Amazon.com on March 10 — and it is the day I am writing my first blog – one of many to come – where we can talk about and find out how not to grow old. Writing a book is like giving birth. No, not like giving birth to a child, but giving birth to oneself. In this book I have opened my heart and shared experiences of my life, which have taught me that staying positive is the key to happiness and making the challenges of life easier to overcome. I never think of my age, and I don’t think I am old. The calendar says otherwise, but what the calendar says has no affect on how I feel or look. I am often asked why I have so much energy. Do I? I’m often told that I don’t look my age. Don’t I? I am happy to hear these comments, but I always feel that there is nothing unusual about me. Until one day when I was vacationing in France. As I thought about her remark and I asked myself why I don’t feel old or look my age, the answers became the inspiration and reason for writing this book.